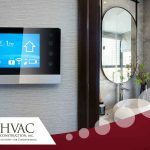 Tips to Pick the Right AC Size | HVAC Construction, Inc. When it comes to air conditioners, size matters. However, any experienced air conditioning construction specialist would say that bigger units aren’t always the better. Sometimes, it’s even worse. Buying a unit too large for your space and too powerful for your cooling needs comes with many disadvantages. Overly huge equipment would cost more to install, consume more room, operate more erratically, and fail more quickly. An undersized air conditioner, on the other hand, might lack the capacity to do its sole job efficiently. The size of your room should dictate the size of the air conditioner serving it. Since size is relative to capacity, an AC that’s just right would cool the space efficiently. Rather than checking the dimensions of the equipment, though, check the unit’s capacity instead, which is measured in BTUs. Passive heat gain is one of the consequences of daylight. The orientation of windows to the sun helps determine how much heat-causing, infrared light could get into your home. Generally, east- and west-facing windows get the most direct sunlight. Without high-performance windows, the sun would naturally warm your interior more easily. In turn, your AC may need greater power to cool your space. 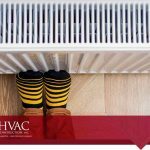 As a major element of your home’s complete thermal enclosure system, good insulation is crucial to prevent your conditioned air inside. Otherwise, leakage could happen, and heat transfer could occur at a higher rate. 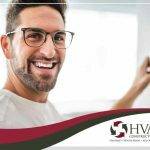 HVAC Construction, Inc. is the local authority on all things heating and air conditioning. 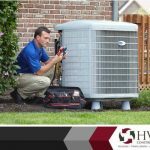 There are a lot of factors to analyze when replacing your air conditioning unit. 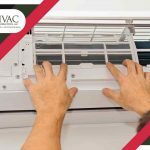 We use a Manual J calculation to determine your home’s cooling capacity, which helps reveal the type of air conditioning unit for your needs. Call us today for more information about our products and services at (801) 298-4822.